First, ask yourself where do you mostly watch videos? In fact, what is the last video you saw today? We can pretty much guarantee that for a lot of people it was viewed from a social media platform. For example Facebook users consume over 8 billion video views a day, which amounts to millions of hours of time spent watching videos per day. Times have changed and now, we can access all forms of video content from anywhere, at any time. Social Media and mobile computing has played a major role in this shift. So how do you maximise the potential of this huge audience? 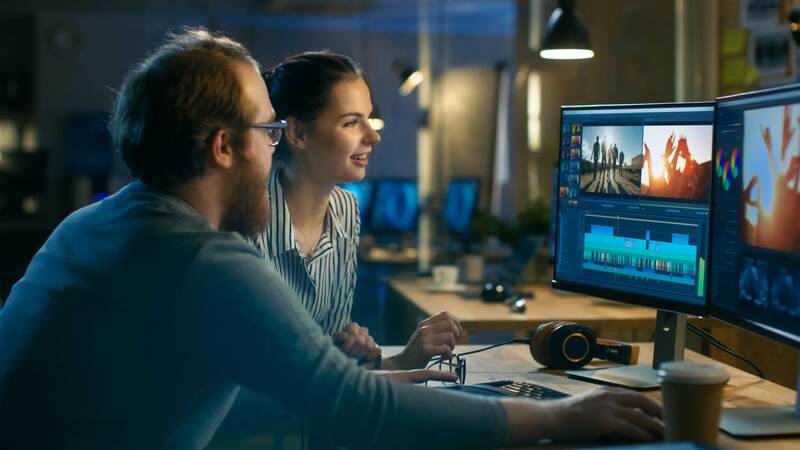 Marketing teams across the world are struggling with this issue, historically video production costs for TV or film advertising has been expensive and often takes months to produce. In the social media world you need to be quick to react and consistent to increase your following and extend your brand’s reach. At Blend we know that it’s possible to create an engaging video marketing campaign on social media with just 15 seconds of video. But since there are billions of people posting videos every day, how do you make sure that yours stands out from the crowd? Here is our short guide outlining the tactics for creating a successful video marketing project for social media. Take some time to brainstorm different ideas for your video. Not sure of where to get inspiration? If you have a blog, consider your top posts, those that really excited your readers. Or get statistics from your products or services pages from Google Analytics and focus on the most viewed page. Alternatively, and most obvious, use the video to launch or highlight a specific product or service. You could also go to different social media platforms to watch the most popular videos from similar brands. For example go to Facebook, find top posts from competing brands by using the ‘Insights’ tab. Once this has given you a flavour of what works, try and create a unique angle or concept that suits your brand, tone and style. Budget – What is your budget? Are there products or services you need to buy? Production – What video and sound recording equipment and editing tools will you use? Scene – Where will the video shoot take place? Lighting – Is the video set during the day or night? Characters – How many characters will be in the video? Legal – Do you need to consider any copyright or royalty issues? Now that you have a clear picture of how you want to create your video, it is time to add detail to your script or storyboard. Send the message early – Videos will autoplay on most social media platforms. Therefore, ensure that the first few seconds of your video are captivating enough to make the viewer want to continue watching. Keep it simple – Most people would rather watch videos that are easy to understand with an interesting twist. Plan to make certain that your message and story is clear, by using simple language and vivid visuals. Visual appeal – Ensure that your video can still be understood even with no sound. Add text captions or graphics to tell your story visually. When you have a clear plan for your video it’s time to record each scene in several takes using good lighting and sound equipment. The edit is critical, short clips blended together to tell your story is favoured over long clips as your audience’s attention span is limited. Now, it’s time to post your video on your social media page(s). Boost engagement for your video by including a short but striking title and description. Paying to boost your reach on each platform can also vastly increase views, shares and likes. Now that you have posted your video, regularly check to read and reply to comments by viewers. Positive engagement with people commenting on your video will make them consider sharing it, come back again and even turn them into paying customers!